Imperial Yeast was founded by a group of people passionate about craft beer and the brewing community. We are professional brewers, we are home brewers, and we are human. 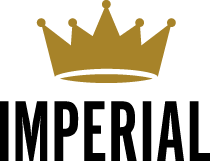 With our professional experience and desire to be something different, we started Imperial. This strain is extremely versatile and flocculent enough to drop out of the beer quickly. Best used in American IPAs but works well in English style ales. House is clean at cold temperatures with increased esters as fermentation temperatures increase. Barbarian produces stone fruit esters that work great when paired with citrus hops. Barbarian will give you what you need for an exceptionally balanced IPA. One of the most flocculent brewer’s strains around, Pub will rip through fermentation and then drop out of the beer quickly. Pub produces higher levels of esters than most domestic ale strains. Higher in esters than Flagship, this yeast will give some fruit character that will take your hoppy beers to a new level. While it shines in pale ales and IPAs, Independence is a great all-around strain and will also work well in stouts and English ales. Juicy. Fruity. Juice is an amazing strain for East Coast IPAs. The ester profile of Juice brings out the aromas and flavors of the new school hops and creates a beer that is greater than the sum of its parts. the strain for Belgian Wit style beers. Whiteout produces an excellent balance of spicy phenolic character and esters. Along with the necessary aromatics, this strain produces a significant amount of acidity which is perfect for wits and other light colored Belgian ales. Gnome is the yeast for brewing Belgian inspired beers in a hurry. This strain is extremely flocculent and drops out of the beer quickly after fermentation. Gnome produces a nice phenolic character that goes well with hops, as well as with caramel and toffee flavors. The perfect strain for your classic abbey ales. Triple Double produces moderate esters with low to no phenolic characteristics. This strain is tried and true and works perfectly in a production environment. This strain is a beautiful yeast for fermenting abbey ales, especially quads; high alcohol and dark Belgian beers. Monastic will produce beers with a high level of phenolic character and esters. Napoleon will destroy the sugars in your saison and farmhouse beers – even the ones in which most brewer’s strains have no interest. When all is said and done, Napoleon produces very dry, crisp beers with nice citrus aromas. This is the traditional German strain used to produce world class weizen beers where big banana aroma is required. Balanced with mild clove, depending on your wort profile, this strain will produce amazing beers. Stefon will create a slightly higher level of acidity to give your beer a very crisp finish. A traditional alt strain, Kaiser is ready to produce an array of German style beers. It will keep the beer clean and allow the delicate malt flavors and aromas to shine through. Characteristics of this strain make it a good choice for traditional Berliner weisse fermentations. Dieter is a clean, crisp, traditional German Kölsch strain. A very low ester profile makes this strain perfect for Kölsch, Alt and other light colored delicate beers. Dieter has better flocculation characteristics than most Kölsch strains which allows brewers to produce clean, bright beers in a shorter amount of time. The world’s most popular lager strain is ready for you. Global is an all-around solid lager strain that produces clean beers with a very low ester profile. Clean fermentations produce amazing bock, helles, pilsner, dunkles, and just about any other lager style you throw its way. A traditional Czech lager strain, Urkel allows for a nice balance between hops and malt. This strain can be slightly sulphery during fermentation, but it cleans up during lagering.